Supporters and opponents of President Donald Trump’s decision to recognize Jerusalem as the capital of Israel demonstrated in front of the Federal Building in Westwood on Sunday. About 300 protesters demonstrated against Trump’s announcement last week to move the U.S. Embassy in Israel from Tel Aviv, Israel, to Jerusalem. 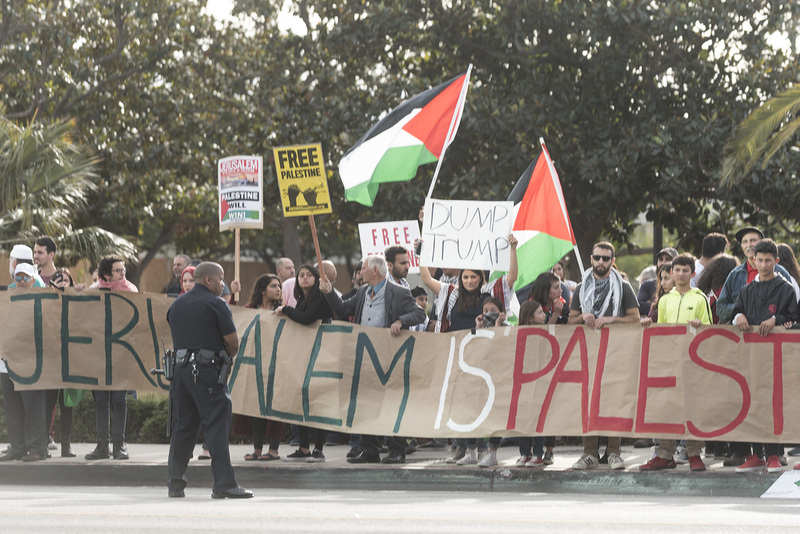 Jerusalem is also claimed by Palestine, and the move sparked criticism from several Arab countries, including Saudi Arabia and Egypt. 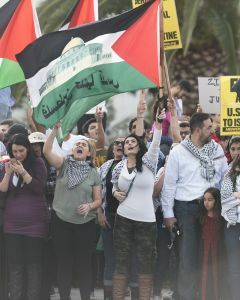 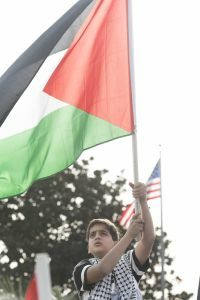 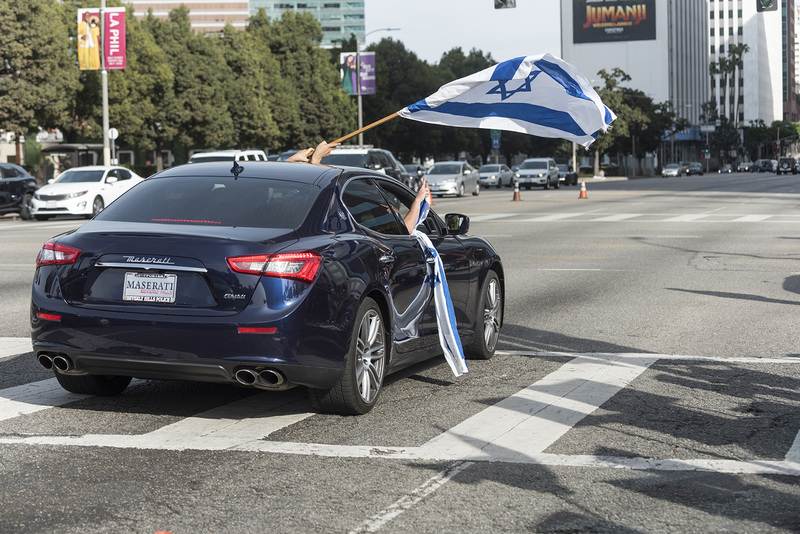 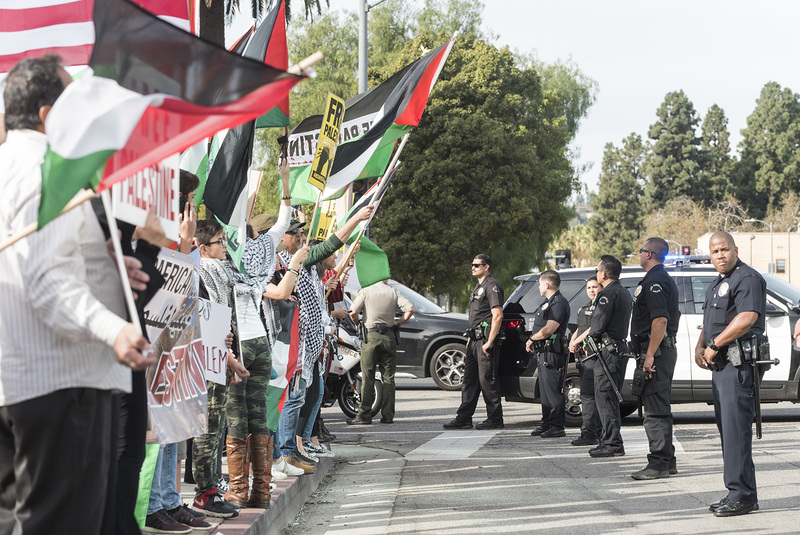 The protest’s organizers included LA4Palestine and Jewish Voice for Peace – Los Angeles. Several demonstrators protesting against Trump’s move said they think his decision makes it more difficult for Israel and Palestine to coexist with each other peacefully. 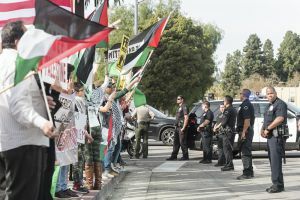 Raneem Mokatrin, a member of the UCLA branch of Students for Justice in Palestine, said as a Palestinian, she was personally offended by Trump’s decision because she thinks it shows the U.S. does not respect Palestine’s right to exist. 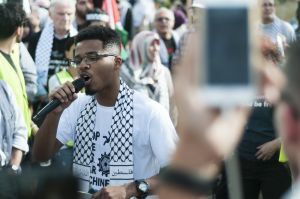 Marcelo Clark, a third-year sociology and African American studies student who participated in the protest, said he thinks the protesters are demonstrating against Israel’s policies, not the Jewish people. 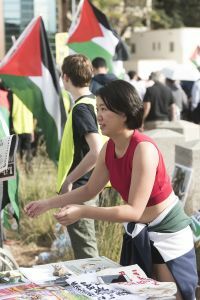 Gurutam Thockchom, a second-year mathematics student, said the protesters demonstrated in front of the Federal Building to let government workers and the Trump administration know they oppose the decision. 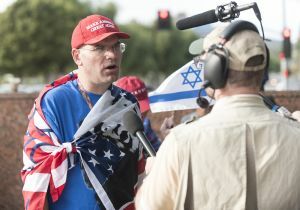 “The people in the building looking down at us will know we are unhappy with the government,” he said. Some supporters of Trump said they believed the president made the right decision to recognize Jerusalem as Israel’s capital. 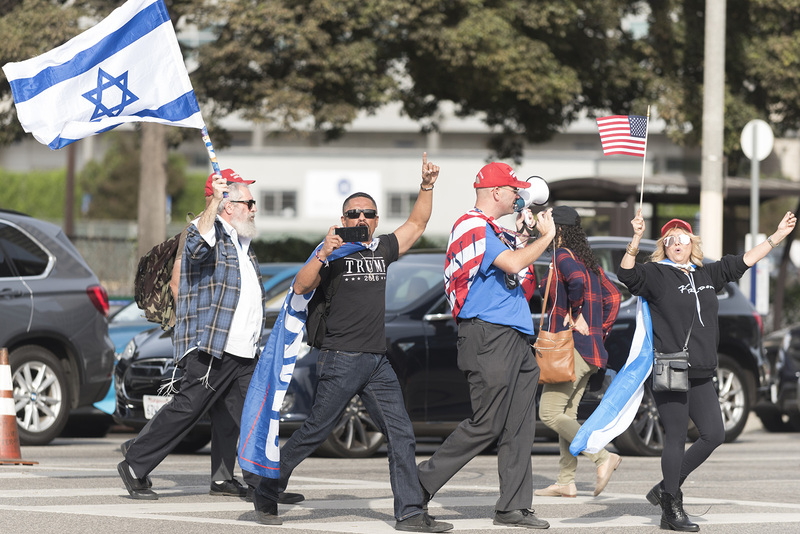 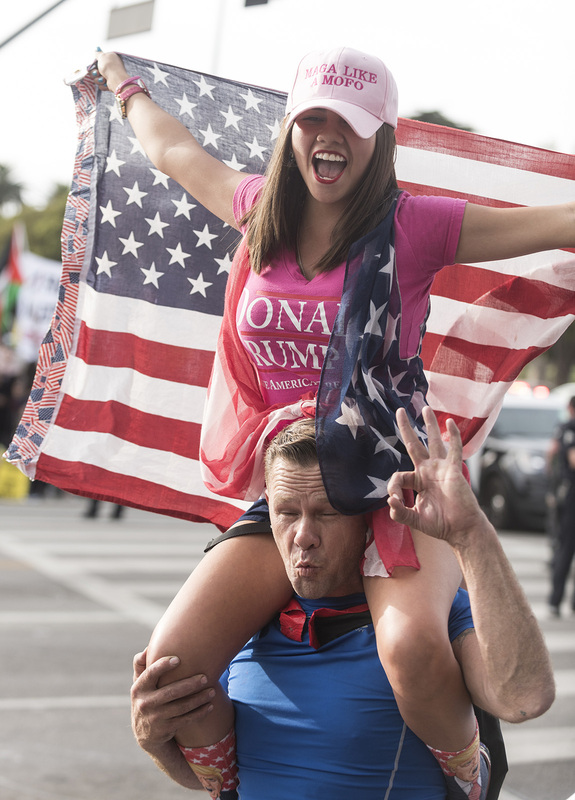 Arthur Schaper, a member of Los Angeles County for Trump, said he was glad the president decided to move the U.S. Embassy in Israel to Jerusalem because he thinks Jerusalem belongs to the Jewish people. 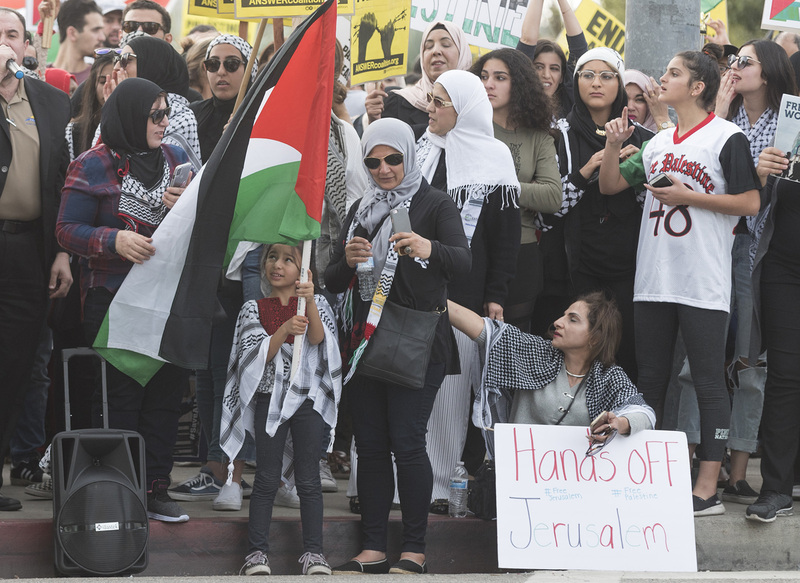 Rabbi Moshe Parry, who had previously attended UCLA, said he believes Jerusalem belongs to Israel because it was ancient Israel’s capital 1,300 years before Islam came into existence. 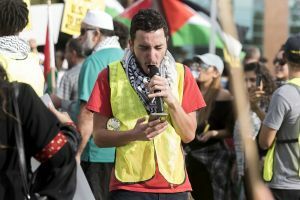 Lorin Elkurdi, a graduate student at the Paris School of International Affairs visiting from France, said she attended the protest to speak with supporters of both Israel and Palestine. She said she wants to have an objective political discussion outside of religious contexts. 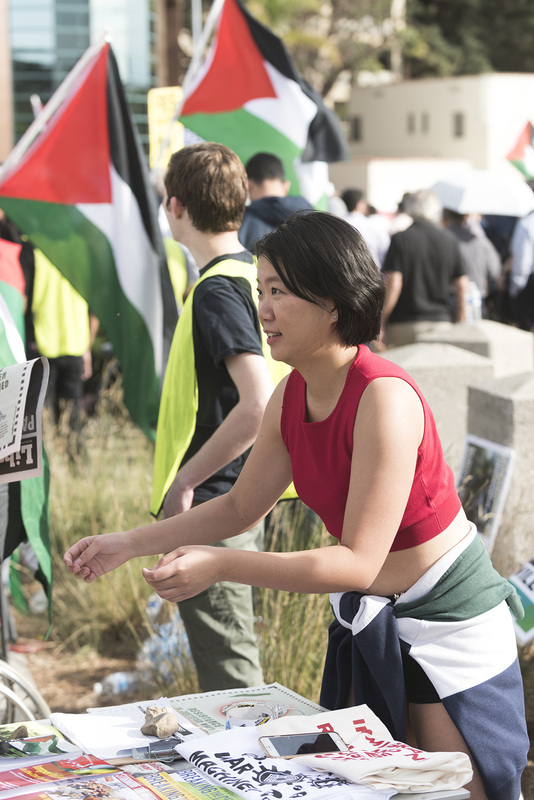 Elkurdi, who grew up in Jordan around a Palestinian-majority population, said she believes people’s views are shaped by their surroundings.